Home Document Library PowerShell SharePoint SharePoint 2013 SharePoint 2016 How to Change the Document Template in SharePoint Document Library? Requirement: Change document template in SharePoint document library. How to Add New Document Template in SharePoint? 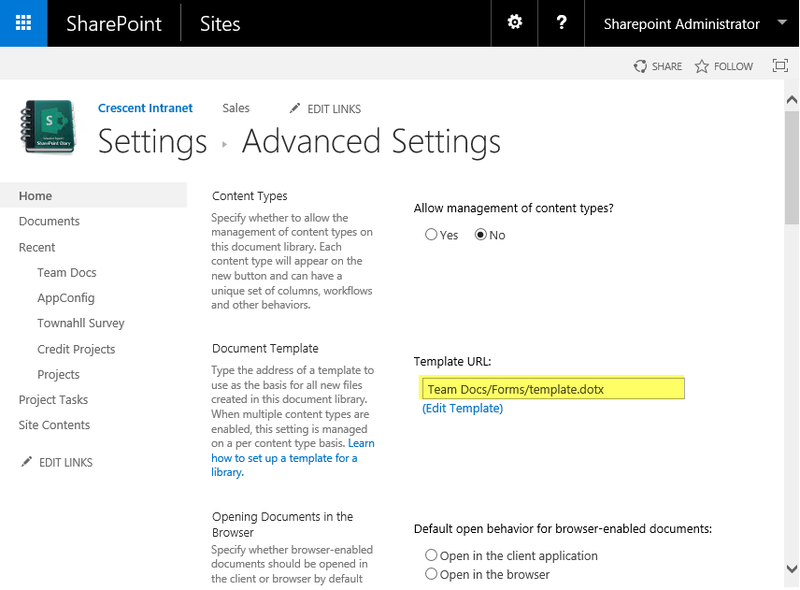 To add a document template in SharePoint document library, we've to first Upload a new document template to SharePoint and then Change the document template URL of the SharePoint document library from Document Library Settings >> Advanced Settings. Write-Host -f Green "Added Document Template $DocumentTemplateFileName to $DocumentLibraryName"
Write-host -f Yellow "Cannot find Document Library $DocumentLibraryName or document template file $DocumentTemplatePath!"